Class action lawsuits can wreak havoc on large companies, governmental agencies, and institutions of all kinds. To guard against this, Crabbe, Brown & James, LLP maintains a practice that is adept at managing and defending Rule 23(b)(2) class action lawsuits. 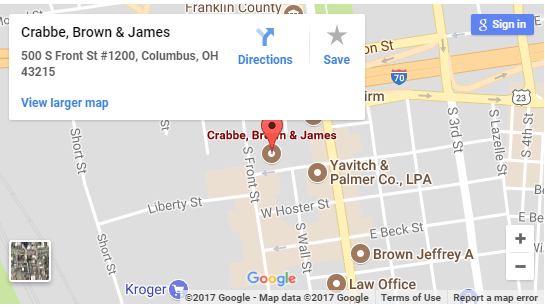 Crabbe, Brown and James, LLP maintains a specialized class action defense practice representing governmental agencies, public or private institutions, companies, and other organizations facing class action lawsuits. Specifically, our team takes on cases alleging discrimination (including statewide Olmstead claims), ADA violations, or other civil rights-based causes of action seeking injunctive relief under Rule 23(b)(2). Check out our current case defending the Ohio Department of Developmental Disabilities here. Drawing on experience, our class action defense team will guide our client through every stage of a class action suit including pre-merits class certification (and potential interlocutory appeals), class and merits discovery, document management, trial, and mediation. We have advised clients in complex class actions against some of the largest and most sophisticated law firms in the world. Our experienced team can do the same for you.